St. Alexander School in Villa Park. VILLA PARK, Ill. (WLS) -- Parents rallied Tuesday night to keep the doors open at a school that's been around for 89 years. 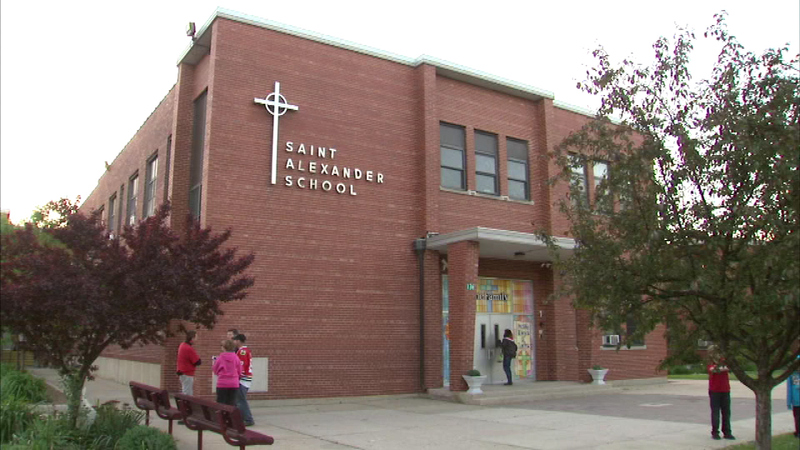 They're hoping to get more students to enroll at St. Alexander School in Villa Park. One person tells us everyone at the school really cares about the students and their families. A spokesperson with the Diocese of Joliet says a five-year campaign to boost enrollment has fallen short. He said the diocese is looking at every option to keep the school open.